Remember the last post about my hair? It’s safe to say I've been through a few looks since then. I change my style often partly due to boredom but also due to damage. Whether I’m getting my hair straightened which is a harsh and drying process or putting it in braids which can weaken it and damage it, the results are the same: a dry and flaky scalp. The latest look my locks are recovering from? Braids. There’s nothing better than being able to basically ignore my hair for two months (I know- you’re jealous), but now that they’re out, I’m left with a very dry scalp that needs TLC. 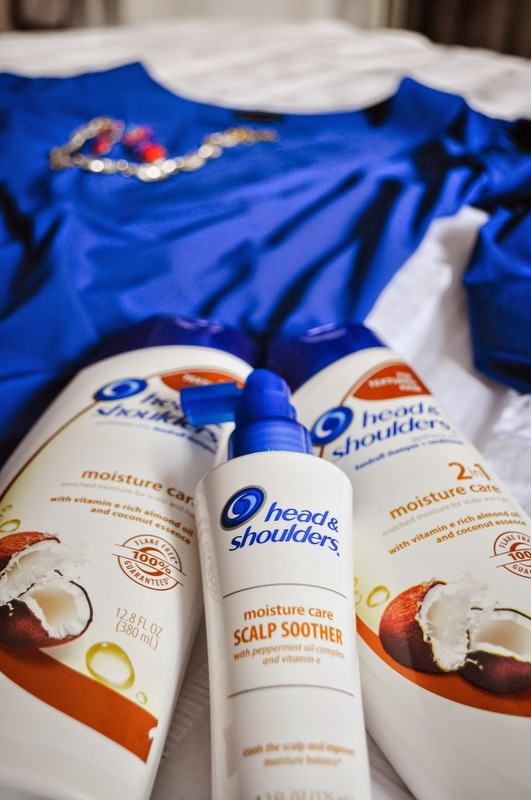 The opportunity to review the new Head & Shoulders Moisture Care line designed for textured hair couldn't have come at a better time. The system includes a moisturizing shampoo, a co-wash (conditioner wash), 2 in 1 shampoo + conditioner, and a scalp soother. Of course my first action was to take a look at some of the ingredients. The main ingredients include almond oil, coconut essence and zinc pyrthione (which is the active ingredient that fights dandruff). I could immediately tell from the packaging that this product is intended to moisturize. I read the instructions and was happy to see that you can get results with twice weekly use. 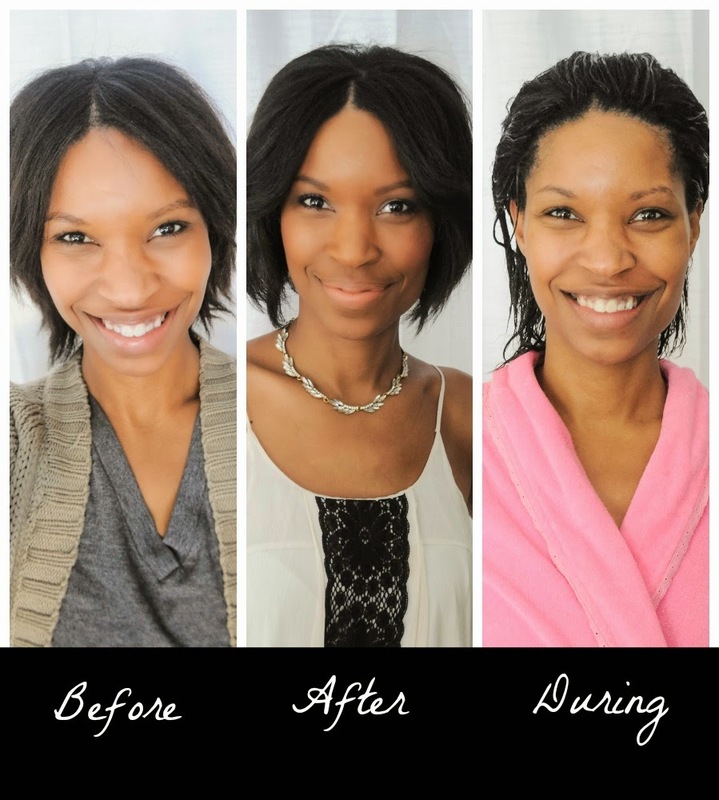 Since my hair is dry I don’t wash it daily, but this system adds moisture immediately while locking it in over time. The co-wash portion was a bit confusing. I thought it was a standalone product but it said to use after the shampoo. After reading the materials that came with the product I realized it could be used in conjunction with shampoo or on its own. I've heard co-washes are the way to go since they aren't harsh like traditional shampoo and can lengthen time between washes so I was eager to try it. I was pleasantly surprised that the products smelled good. I’ll be honest; since Head & Shoulders is for dandruff I thought it might smell medicated. The scent wasn't overpowering but was light and fresh and I’m a sucker for anything coconut scented. A concern when using a conditioning product is that it will feel oily but the conditioner felt great and made it easy to comb through my hair. I have to say I loved the scalp soother! It really was refreshing and I could feel the coolness of it even a few minutes later as I chatted with Joe. To avoid excessive heat, I don’t blow dry my hair so I brushed it back to let it dry overnight. It felt and looked smooth and Genevieve kept telling me my hair looked adorable. Head & Shoulders for the win. The proof is in the image above. I mean, look at my gray and dry scalp 'before.' Yikes. The after looks so lush in comparison. And now that I got my hair did (since Missy Elliot turnt up at the Super Bowl will people finally start getting my references?! ), I could focus on date night prep! I flat ironed my hair like usual with a slight bend. My stylist gave me a center part for the first time at my last appointment and I loved it but was a bit afraid of the flakiness. Not anymore. Seriously Head & Shoulders took care of that like a boss- I’m now rockin beautiful flake free hair. I used the flat iron to curl the sides back and used my hands to give it some volume. Done. 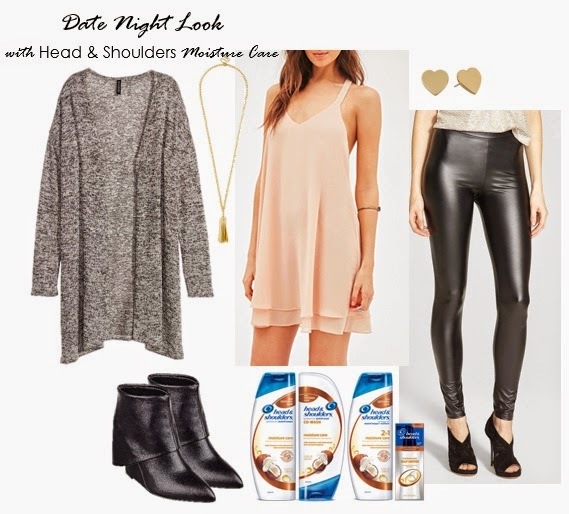 Now it’s time to share a date night look to match your gorgeous date night hair. There are so many pretty frocks out there but I figured I’d keep it real and share looks suitable for new mommies since I am one. In other words, loose fitting tops and layers. Sources: Sweater. Tassel Pendant. Tunic. Heart Studs. Leggings. Booties. 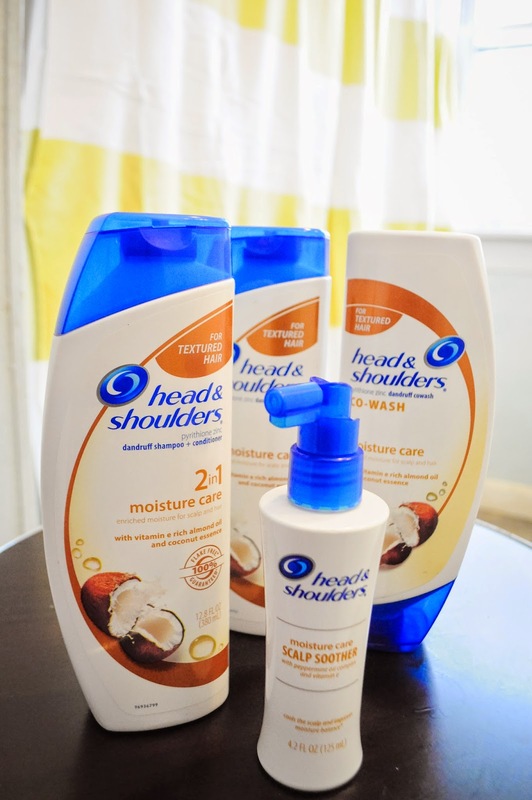 Head & Shoulders Moisture Care. 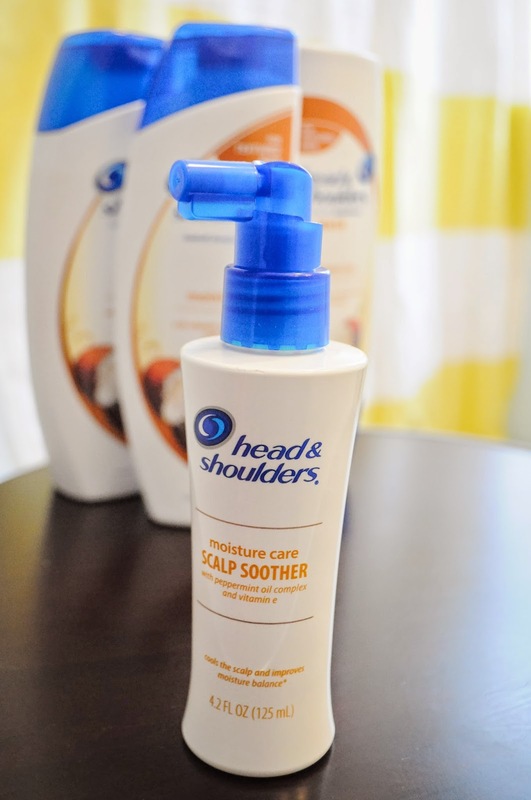 Flake free hair thanks to Head & Shoulders means this mama is ready for date night. That's so awesome! I will definitely put this in my memory box for my friends who struggle with dry hair! Wow it really made a difference for you! Your hair looks great! Beautiful lady, beautiful hair. I love it! Thanks mom! Let me know how you like it when you try it! Wow! Your hair looks fantastic! Thanks for sharing your tips. I'll have to try it! Let me know if you do Vanessa! Your hair looks beautiful (as do you!)! It worked great! Wow ... Head and Shoulders really works wonders !!! You hair is amazingly beautiful !! 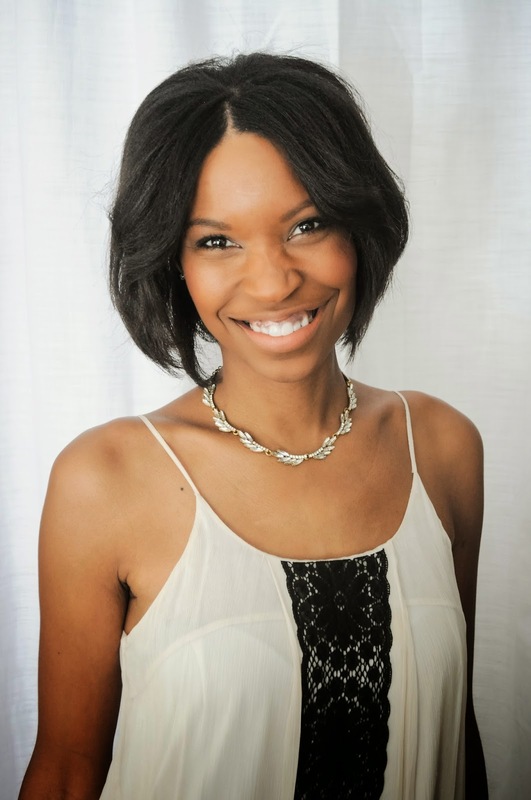 Love the blog the hair and the outfit....I will be trying this out ater i take my braids out. Love that it smells like coconut! Perfect for dry hair/scalp summer beach days! You are so beautiful. I love the photos you added. I have very coarse hair - I don't know where I get it from, but it never lays flat until about three days after a wash...and I use oils and a flat iron too! But by the third day the itch from regular shampoos is killing me. I will have to try this stuff - I haven't seen it at the store yet. I guess I need to thank my stylist for refusing to cut bangs. ;) Thanks for visiting Christy!! Your hair looks great! I love that I can actually see a difference in your scalp. 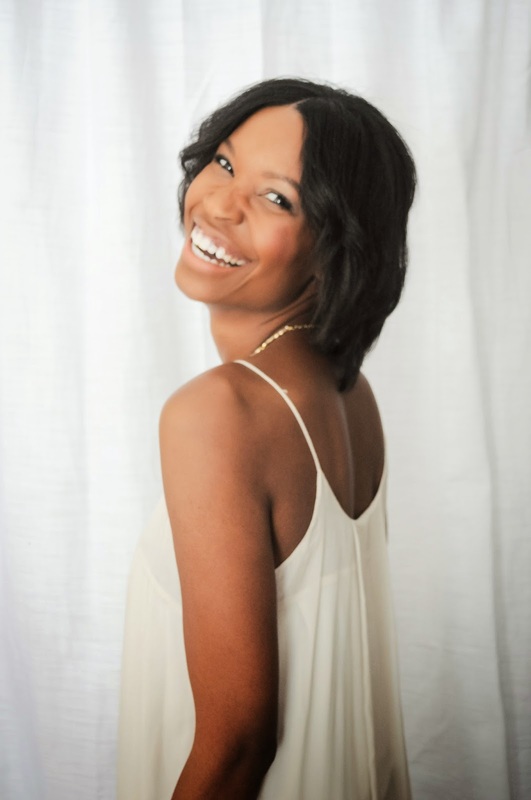 Speaking for "team natural" we appreciate that there are no sulfates in the co-wash :). I'm definitely considering trying out the co-wash soon. Thanks Nicole! I was happy to see one of the products was sulfate free also! I'm going to use the co-wash again today in fact. It worked great on the girls' hair too! Gorgeous!! Your hair looks amazing in these pictures. Also that top is perfection!! Thanks Amber! And yeah I will be so sad when that shirt falls apart which is bound to happen considering how often I wear it!! Thanks for your comment! 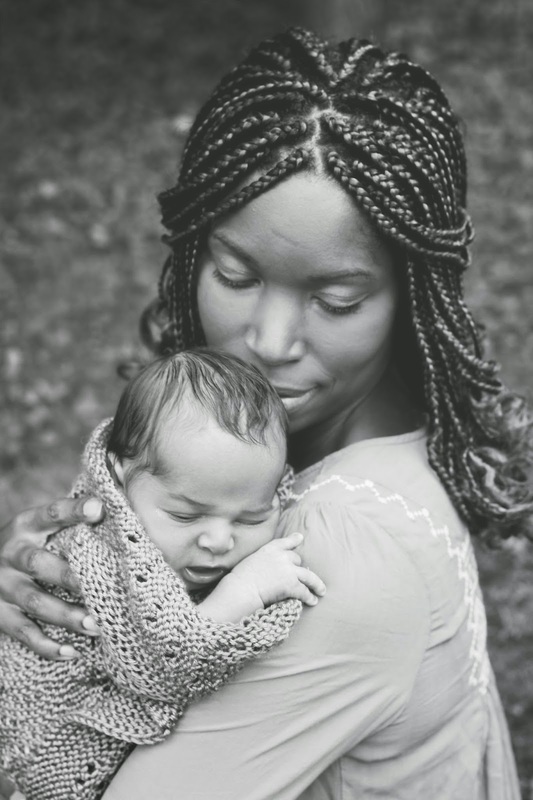 Great post pretty Momma! You are rocking your hair and your look. Thanks so much Karen! Appreciate your comment! I never knew that H & S did anything but the plain shampoo. Gorgeous and love the outfit!